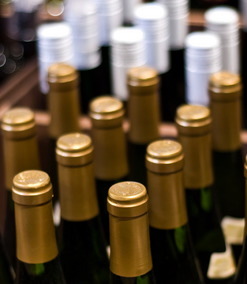 Wine Classes to Further Your Wine Education And Enjoyment. So you are serious about your wine education, well, take some wine classes. Depending on how serious you want to get, there are several ways to go about this. One way is to enroll in a wine appreciation class at your local Community College or University. This is an excellent way to learn about wine, and also to meet people who share your interests. Another place to take wine classes is in a culinary college, if there is one near you. These courses will probably be quite a bit more thorough than the classes you would take at the community college, but if you have to opportunity to enroll, and have the resources of time and money, do so, it will be worth your while. Many fine restaurants offer classes. Again, these are great because you get to meet people with the same interests as you. The classes are usually divided into one evening class per week, but you don't have to commit yourself to a whole semester, or do homework. You take the class that you are interested in without signing your life away. If your time is limited, this set-up would be ideal. An added bonus is that most of these classes, because they are held at restaurants, are often food and wine pairing classes, or at least will offer foods that match with the wines being featured on that particular day. Another way to learn is to take wine classes online. This is an excellent avenue for those who have time constraints, or who live in areas where there is no access to the above learning opportunities. Though you do not get the live discussion, you will learn at your own pace. The ultimate learning experience is wine education offered by the University of California Davis Extension, as well as the University program. The Extension offers online classes. The University of California at Davis has become a world leader in wine education for professionals. They offer a major in Enology, and they also offer classes through their extension program both in person and online. These classes are very thorough, and they are for those who are thinking of wine as a career, whether it is as a winemaker, a vineyard manager, or working in the hospitality industry. But you don't have to be a professional, or planning to become one, in order to enroll in these classes, you do have to have a commitment to learn though, because the courses are rigorous. But it is a wonderful opportunity.